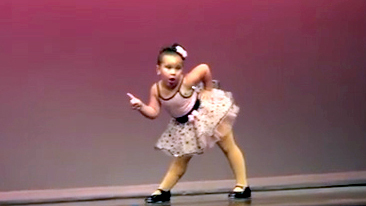 RESPECT: Little girl channels Aretha Franklin with dance routine, on The Feed! Some of the latest and greatest viral videos include a 6-year-old's "spicy" Aretha Franklin inspired dance and sharing kisses with Marnie the affectionate parakeet. First up, Elissa Colón posted this video of her daughter Johanna, channeling Aretha Franklin with an attitude-filled dance routine to the classic song "Respect." This adorable performance has caught fire online, scoring over 28 million views in the two days since its release. Chesawoo posted video of an adorable, blabbering bird named Marnie. He's an Indian ring-necked parakeet -- a species known for their intelligence and speaking ability. And, Marnie is no exception. When this winged wooer isn't being asked for kisses, he's asking for them himself.